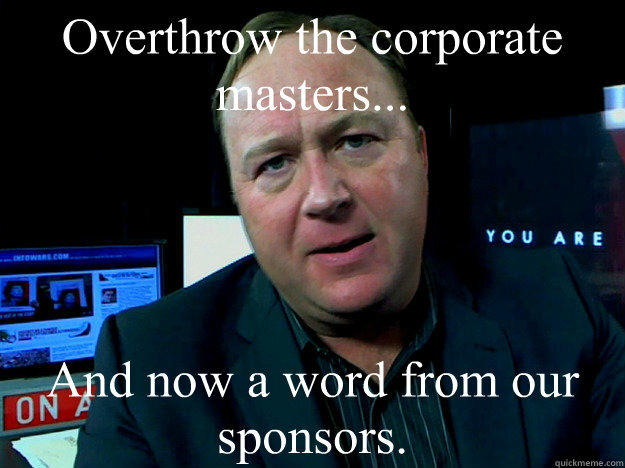 Overthrow the corporate masters... And now a word from our sponsors. 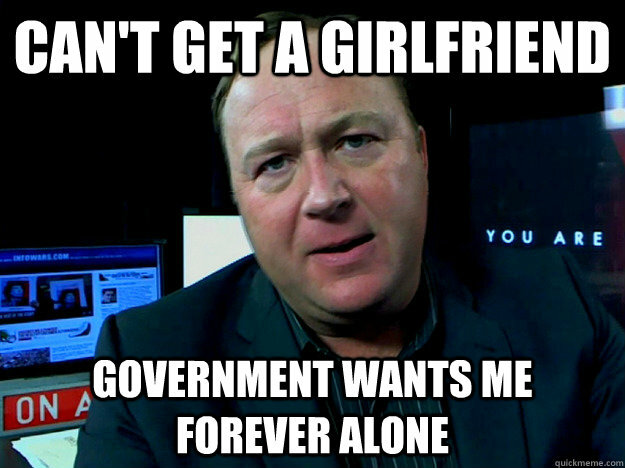 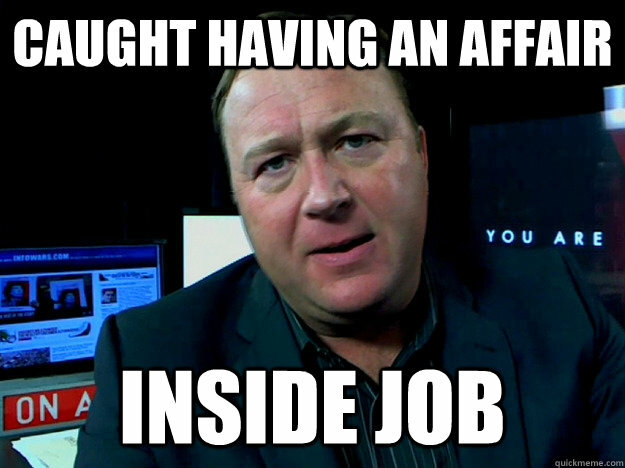 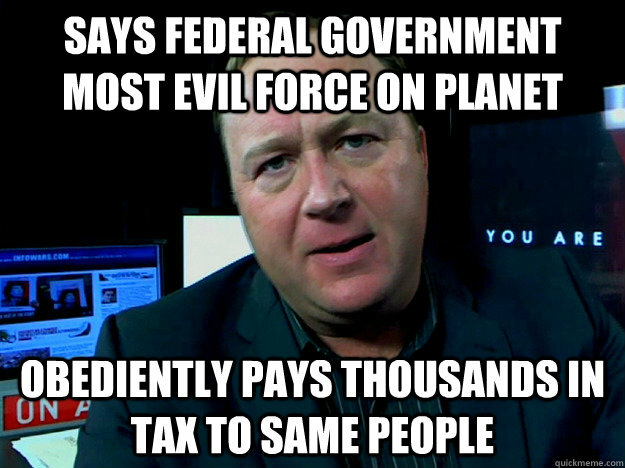 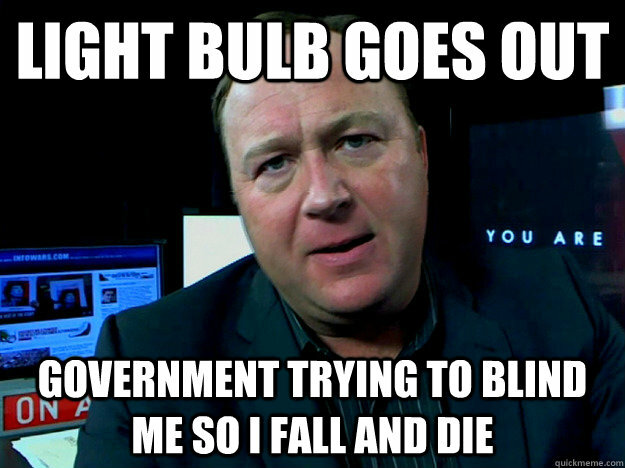 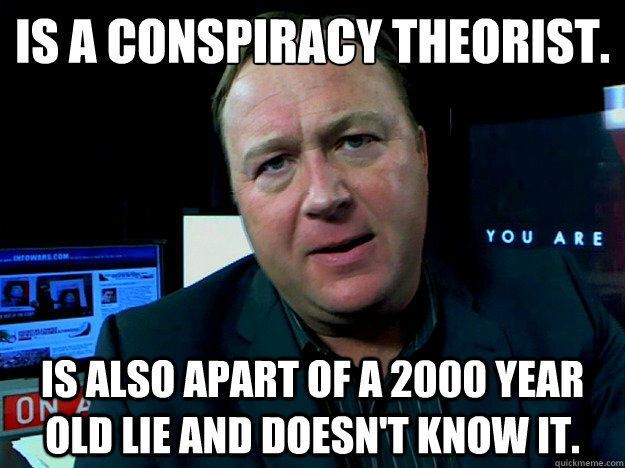 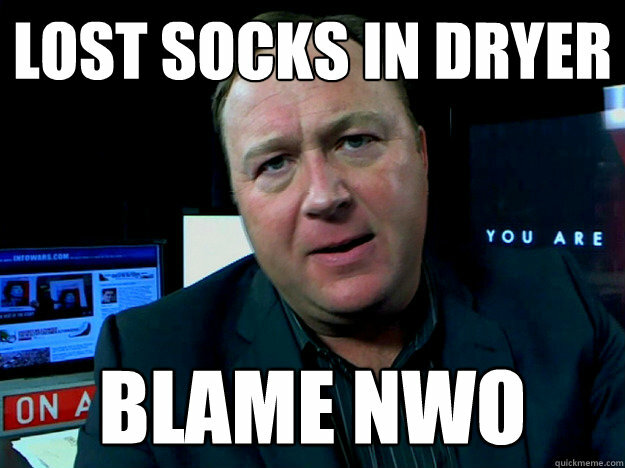 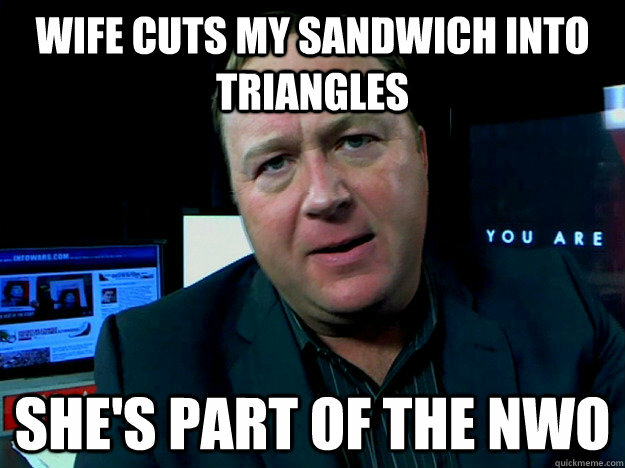 Is a conspiracy theorist. 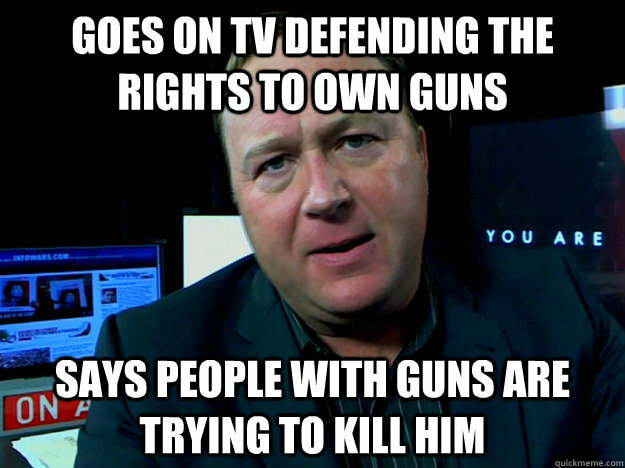 is also apart of a 2000 year old lie and doesn't know it. 9/11 happened on 9/11 Coincidence? 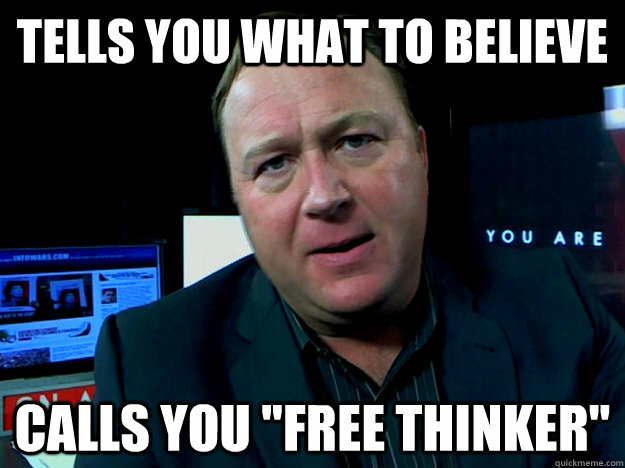 tells you what to believe calls you "free thinker"